We’ve arrived at the end of our series and it’s a fitting time to draw back the curtain one last time to see that the desktop is pretty much as you left it in Windows 7. That’s a good thing, and it’s kind of disappointing. On the one hand, the desktop is reliable and staid, on the other, it and the Start screen are of such different worlds, that both can leave users wanting a little more cohesiveness. Much of what changed about the desktop from Windows 7 to Windows 8 could be seen in window borders, which lost their transparent glass look and became flat and opaque. A completely redesigned Task Manager and a Ribbon interface for the File Explorer (formerly Windows Explorer), and that was kind of it. Perhaps the most notable (infamous) change to Windows 8 was the actual removal of the Start button, which is back in 8.1, more or less. That said, Microsoft did add some settings to the Taskbar properties that lets you turn down the Start screen’s presence. Despite all that, changes in the most recent update are largely the company’s inevitable surrender to its desktop user base. 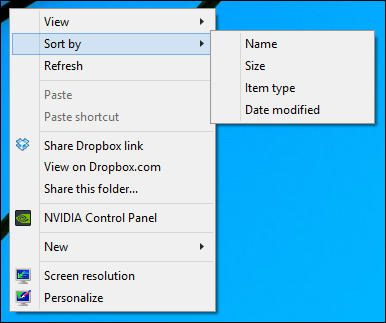 Additions such as the ability to right-click for context menus on the Start screen are purely Start screen changes, so the desktop, as it stands right now is little different from the previous two versions. In fact, if you want to explore this subject further, we recommend picking up a copy of the How-To Geek Guide to Windows 8, which covers the desktop environment extensively. In this last lesson, we’re going to cover the desktop and show you that everything is still there. We’ll cover how to recover you system when things go wrong, and we’ll even throw in a handy list of the most useful keyboard shortcuts! As we’ve been saying, other than the technological equivalent of a new coat of paint, the desktop is still pretty much in the same place that it was in Windows 7. Alternatively, you can open the Control Panel and double-click the Personalization control panel. 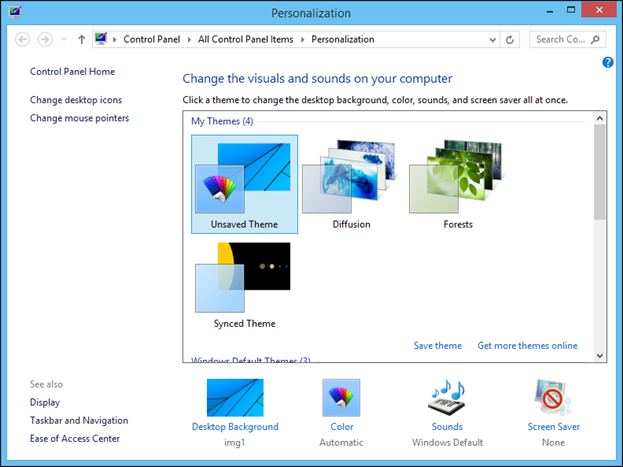 The Personalization control panel allows you to do many things such as change the visuals and sounds on your computer, select a screen saver, or pick a new desktop background (wallpaper). Looking at the control panel screenshot below, we can also see shortcuts to change things such as mouse pointers and desktop icons. 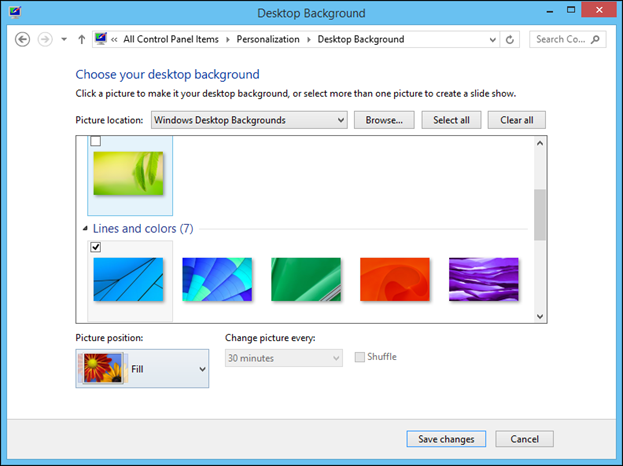 If you click on the “Desktop Background” link, you can use one of any number of pre-installed backgrounds or pick a new one from your pictures or a wallpaper you downloaded. 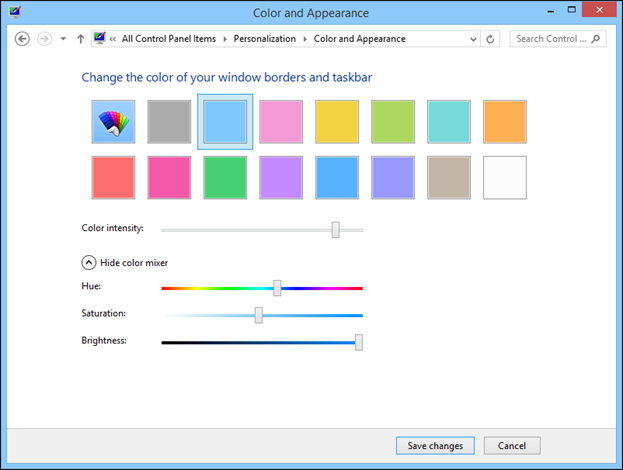 If you select “Color” then you can change the color or your window borders and taskbar using options to alter the hue, brightness, and saturation. One thing many people probably don’t realize is that they can save their favorite personalization as a theme. It’s very easy. 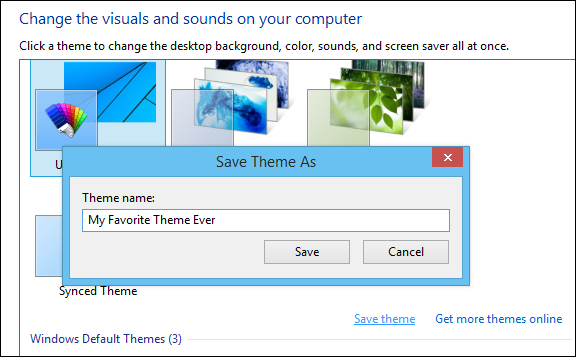 Once you’ve gotten your desktop decorated the way you desire, including pointers, sounds, and screen savers, you can simply click on the “Save Theme” link. 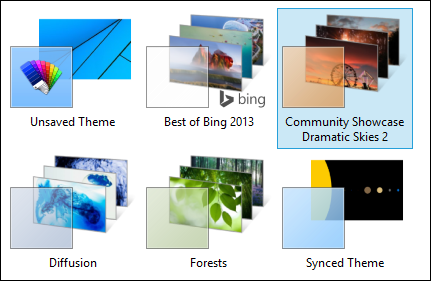 Note also, you can “Get more themes online.” Clicking this link will open to Microsoft’s themes page where you can browse and download new themes to fancy things up a bit. You see now that the new themes will appear in the Personalization control panel and you can begin applying them immediately. 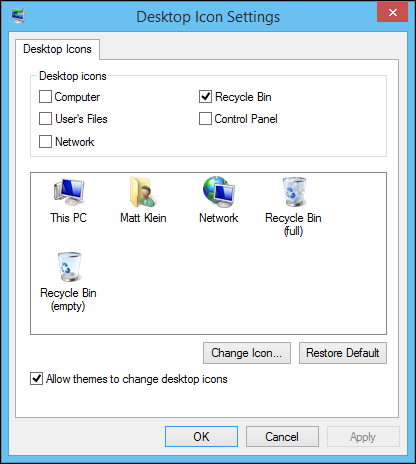 Desktop icons can either be files such as documents, images, spreadsheets, and more, an actual folder containing such files, or a shortcut (a symbolic link which opens a file, folder, or application located in another location). The problem is, if you collect files, folders, and shortcuts on your desktop, it can quickly become unruly and crowded. 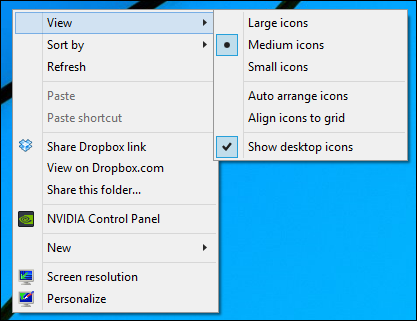 Luckily, other than clicking and moving your desktop icons around with your mouse, you can use the right-click menu to view and arrange your icons. In the following screenshot, we see we can adjust icon sizes to three presets: large, medium, or small (alternatively, you can quickly resize icons on the desktop or any File Explorer windows by holding CTRL and using your mouse wheel). You can also “auto arrange icons,” which means that your icons will automatically arrange themselves according to how you sort them. Note, you can also align your icons to a grid, which is similar to auto arrange – your icons all line up neatly. If you de-select auto arrange but keep the grid alignment, this means you can arrange your icons in any order you desire while still maintaining the neat columns and rows. Finally, the “Show Desktop Icons” option lets you quickly hide and show your icons. This is probably most useful if you want to temporarily “tidy” up your desktop for company, i.e. hide stuff you don’t want others to see. 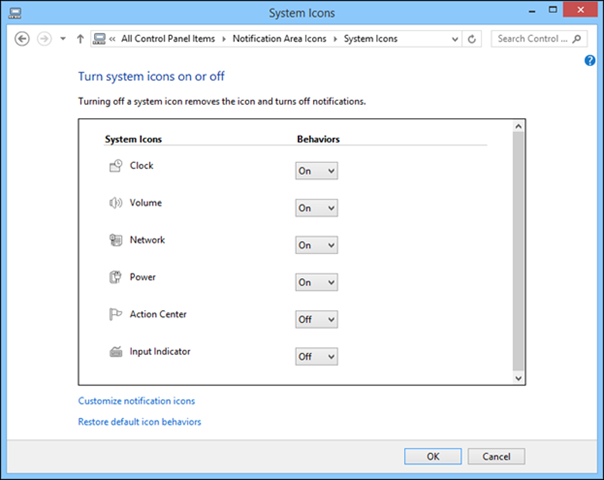 Hidden away in the Personalization control panel is a link for the “Desktop Icon Settings.” This dialog is kind of a relic of Windows days of yore. Still, if you want to quickly restore essential desktop icons such as the Computer, Recycle Bin, and even the Control Panel (how convenient), you can do so here. If you really want to take your desktop personalization to whole new level, you can even replace the default icons with new ones. Just search online for “desktop icons” and you’ll find thousands of different icons to choose from. Simply click the “Change Icon” button and “Browse” to the location where you downloaded your new icons, and you can craft an entirely new look to your system! 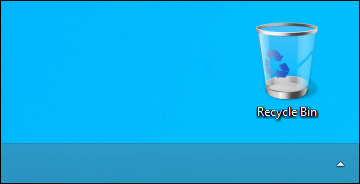 We arrive now to the Taskbar, perhaps the most, enduring, time-tested, and underrated feature of Windows. The taskbar is the primary way of interacting with the Windows desktop having links not only to open the Start screen, but all your favorite pinned applications and folders, running apps and open folders, and also the clock and notification area, which hold your notification icons. There’s a lot going on with the taskbar, so it’s good to have a full understanding of it. Right-click on the taskbar and you’re treated to a bunch of options, which may not be completely relevant with the way you use Windows, but it’s still nice to know you can quickly stack, cascade, or show windows side by side. The thing we’re most interested in on the taskbar’s context menu is “Properties.” Open it and we get a dialog with four tabs. 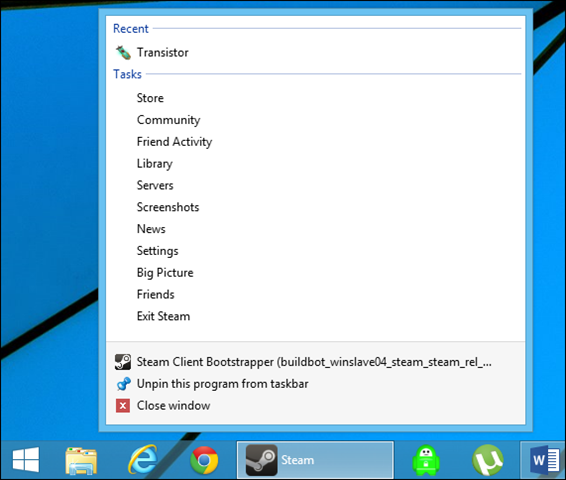 The first tab is “Taskbar” with options to autohide, lock, and use small icons. By default, the icons on the taskbar buttons are large, they fill it up. If you make them smaller, then not only will they shrink in size, the taskbar will also become thinner. Making the icons smaller as well as using autohide are two good ways to reclaim horizontal screen space. Locking the taskbar simply means you cannot move or change anything such as the width or position of toolbars, which we’ll talk more about shortly. 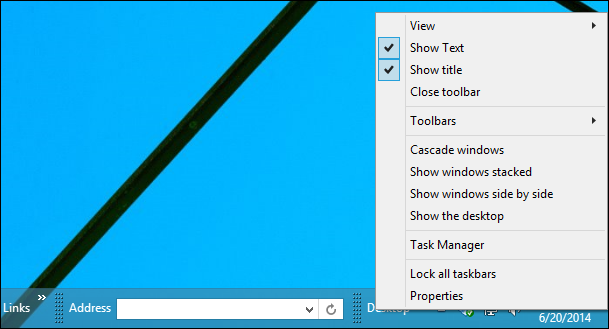 The taskbar’s appearance and location can be modified even further using the next few options. You can place the taskbar on any edge of the screen (this can also be accomplished by clicking, holding, and dragging the taskbar to the location you desire (as long as it isn’t locked). You can also change how the taskbar groups (or doesn’t) buttons and displays labels. In the first example, we see what it looks like if you combine buttons but displays labels. And here is what it looks like if show the labels and don’t combine the buttons. Returning again to the taskbar properties, the “Navigation” tab is a new addition to it and exists solely to deal with Windows 8 annoyances. “Corner navigation” addresses corner behavior by allowing you to turn off hot corners that activate charms (upper and lower-right corners), as well as turn off the upper-left app switcher corner. You can also replace the Command Prompt shortcut on the WIN+X menu which we discussed in the previous lesson, with the PowerShell. 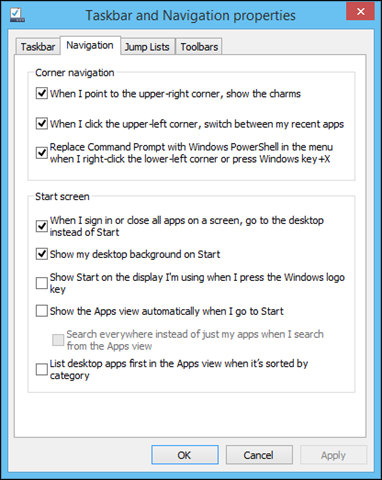 Below “Corner navigation” is “Start screen” and these options are intended to allow you, the desktop user, to wield more control over Start screen behavior. The first option dispenses with automatically booting to Start, though, to be honest, booting to the desktop should be on by default. The second option allows you to show the desktop’s background on the Start screen. We discussed another way to accomplish this in Lesson 3 with Start screen personalization. Below that, you can force Windows to display the Start screen on the active display (in multi-display setups) whenever you press the WIN key. If you prefer to always see your apps in the Start screen, you can force it to default whenever you open it. You can also force searches to look everywhere when in the Apps view. Finally, you can give priority to desktop apps when sorted by category in the Apps view. There’s a great deal of power in this small tab, and if you’re a die-hard desktop user, it’s definitely a good idea to get to know these options well. Let’s move on to the “Jump Lists” tab. What are jump lists? Try right-clicking on an icon in the taskbar and you’ll quickly see. With jump lists, you basically have a list of most-recently accessed locations, files, websites, and more. Jump lists add the most recently accessed item to the top of the list and removes the last one. If you have something you always want on a jump list, you can pin it if you hover over an item and click the pushpin icon. Other jump lists may show you tasks such as here with the Steam desktop client. So, let’s return then to the “Jump Lists” tab and discuss its features. First, you can expand or reduce the number of recent items shown in a jump list. You can also turn jump lists off altogether with the bottom two options. Note, if you want to clear your jump lists, de-select these options, hit “Apply,” and then select the options again and hit “OK.” You will see your jump list history has been wiped, and it will start anew. This method will not clear anything you have pinned so make sure you pin everything you want to keep in your jump lists, and unpin anything you don’t! Finally, “Toolbars” is a holdover from the Windows 98 era and the existence of an entire tab on the taskbar properties for them is a little questionable. 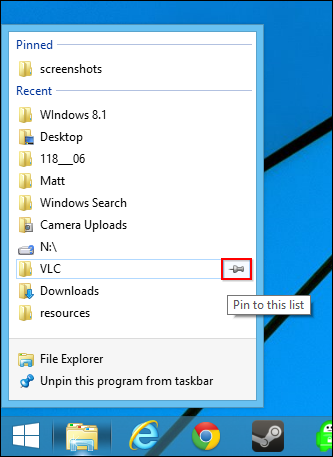 Nevertheless, with this tab, you can add toolbars to the taskbar to increase its functionality. 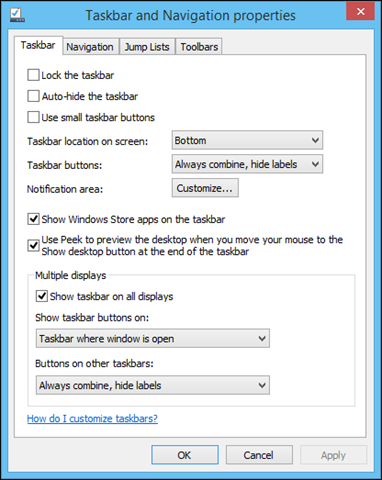 The thing is, you can do this just as easily by right-clicking on the taskbar and choosing “Toolbars” from the menu. In fact, you can even create new toolbars from here, which you cannot do from the properties panel. In the above screenshot, the taskbar is shown with several toolbars enabled. Depending on the toolbar, when you further right-click on it, you will be presented with further options, such as “show text” or “show title.” You can also quickly close toolbars this way, as well. The notification tray is a holdout from Windows 95 so if you’ve used Windows in that time, you should have some familiarity with it. Basically, this is where running background apps and basic system controls (network, Action Center, volume, etc.) are displayed. It’s also the system clock’s main stomping ground. Notifications area events are different from the new-fangled toast notifications discussed in a previous lesson. As such, there’s an entire control panel devoted to Notification Area Icons. 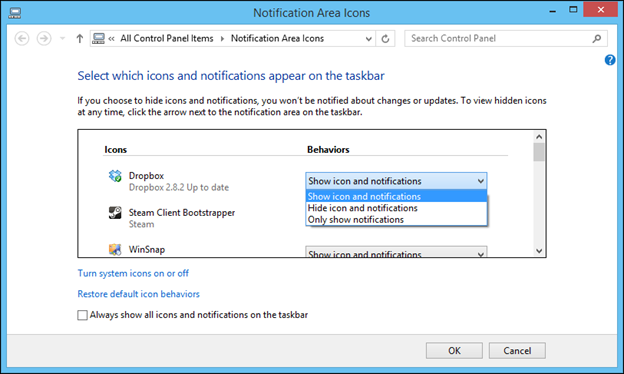 Here you can elect to display icons and notifications, show only notifications or hide both. Take one minute to note the “turn system icons on or off” link. This is kind of cool and we’re betting a lot of you might not have ever noticed it. As you can clearly see, you can disable a whole range of system icons including the clock! While it’s hard to imagine the clock not being in the bottom-right corner but, it’s still nice to know you can turn it off! 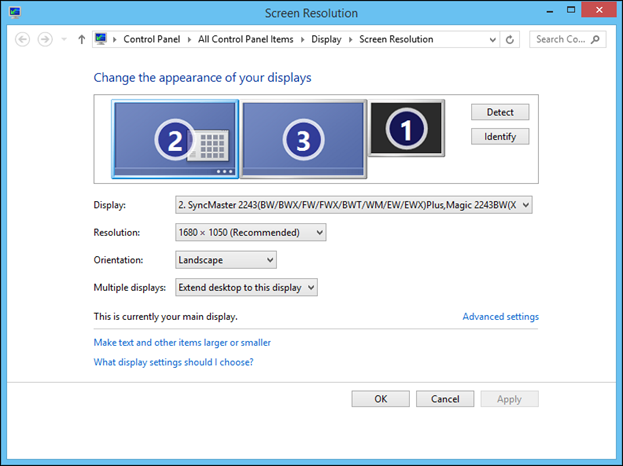 You may have to change your displays resolution, orientation, or change your multi-display setup (such as to project to an HDTV when watching movies). 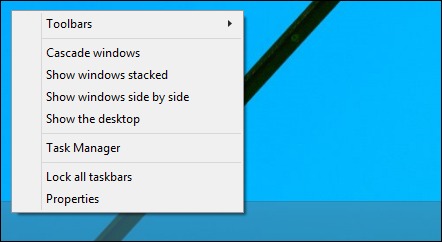 While the PC Settings Display may offer the same options found in its control panel equivalent, this is still the default way to alter display options for many (desktop) users. Regarding multiple monitors, Windows 8 stepped up its multimonitor game making it a fairly hassle-free process. 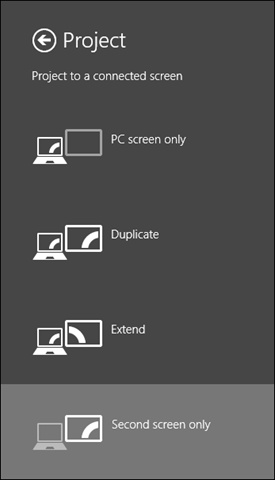 When you click on the “Multiple displays” dropdown menu, you’re given options on various ways to duplicate, or extend, your desktop. You can also change the arrangement of your displays by dragging the graphical display representations (1, 2, 3) around so they mirror your real world setup. If you’re unsure what display is what, simple click the “Identify” button and the system will identify each monitor for you. The Project option on the Devices charm is the nearest comparison we can make to the “Multiple displays” function on the Resolution control panel. That said, you don’t have nearly the same kind of control or options with it. “Project” lets you get the job done quickly and painlessly, but if you need to change you arrangement, or your primary display, or you want to choose another display to use, then the Resolution control panel is still the go-to option. When Windows 8 was first released, Microsoft had to figure out a way to be able to let users activate the charms on the left display when the mouse pointer was moved to the upper or lower-right corners. Usually, your mouse pointer just pops from one display to the next so this made it nearly impossible to access the charms unless you actually moved the mouse pointer to an actual corner. Microsoft’s solution was to add a small “speed bump” about 10 pixels high that basically blocks your mouse pointer from jumping from the left to right display without first activating the charms. It’s a slick and effective trick, but if you’ve ever wondered why your mouse pointer seems to get stuck those corners, that’s why. 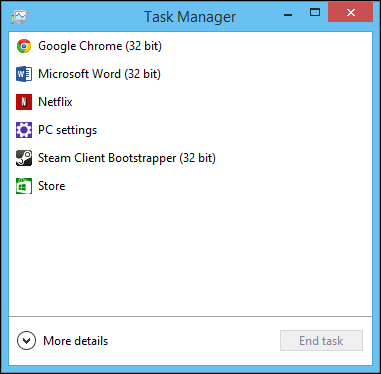 The Task Manager gets a lovely makeover in Windows 8.1 and we’re sure you’re going to love it. When you first open the Task Manager, it shows you only the most basic view: a list of running applications and the option to end them. If you click “More details” you will see the meat of Task Manager. The task manager is like your all-in-one stop for essential system administration and hands-on performance monitoring. To that end, it’s got a ton of stuff going on in it. 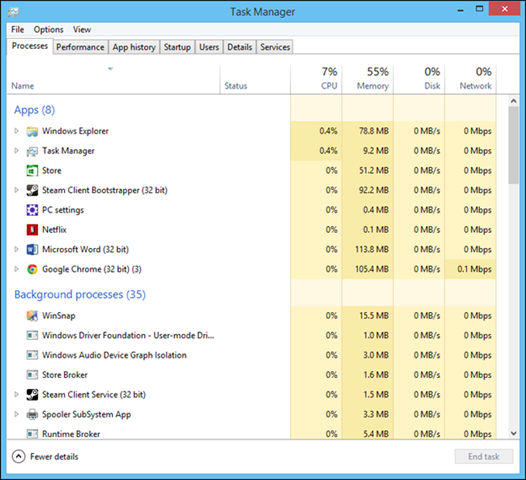 We’d love to devote an entire section to talking only about the task manager, but we already have. If you want to know how to utilize the Task Manager from top to bottom, you should check out this lesson in our How-To Geek School series on Windows Admin tools. We also cover the Task Manager with regard to PC maintenance in this lesson so there’s no shortage of resources to read in order to become a Task Manager ninja! If you had to sum the whole of Windows by its most important parts, we’d say you definitely need the Start function, in this case, the one that comes with Windows 8.1 will have to do for now. Then you need the Control Panel and, of course, the desktop and taskbar. We should also mention the Task Manager and finally, the File Explorer. 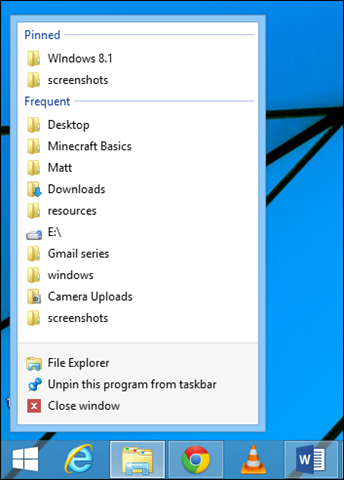 In fact, out of all these things, the File Explorer is something we use extensively every single day. 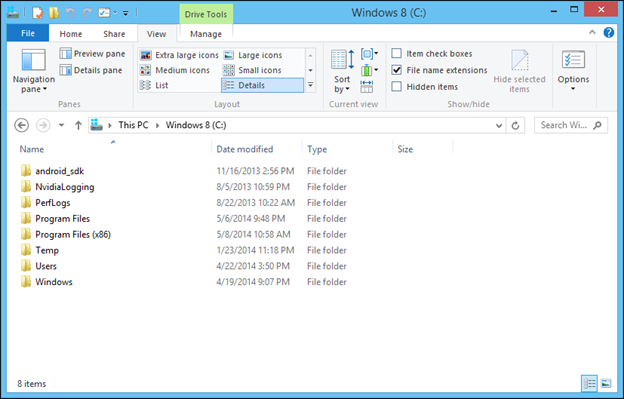 The File Explorer is not new but you probably know it by its former name, Windows Explorer. File Explorer got more than a new name in Windows 8, it also got a makeover, in the form of a new ribbon interface similar to the one first introduced in Office 2007. 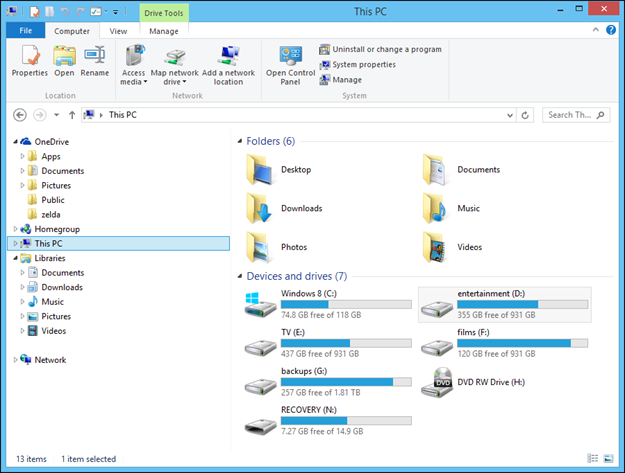 Obviously, we can’t take you through every single part of the File Explorer but we want to cover the basics and give you a short tour, so the changes to the File Explorer don’t seem so disorienting to a new Windows 8.1 user. Let’s start off things by taking a look at the quick access toolbar. 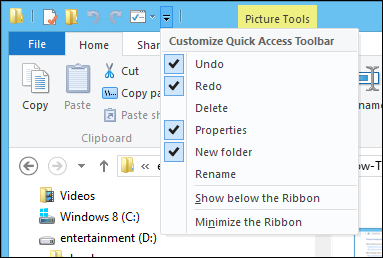 At the top of the File Explorer window you will see the Quick Access Toolbar. As the name implies, this is a toolbar that gives you quick access to many commonly used Explorer functions. By default, most, but not all, of these functions are displayed. If you want to show (or hide) more, you need to click on the little arrow at the far right. This will display all the functions available, where you can then select or deselect the ones you want or don’t want, respectively. Note also, you can choose to show the Quick Access Toolbar below the Ribbon. You can also hide or “Minimize” the Ribbon, which you can also quickly accomplish using the keyboard shortcut CTRL + F1. Speaking of the Ribbon, let’s review it and its parts. We don’t want to get bogged down in functions however, you should be aware what each tab is for, as well as how they change to match, such as pictures, videos, and other relevant content. As we mentioned, the Ribbon has tabs. In the above example you can see the File, Home, Share, and View tabs. In the following shot, the File menu is shown. Note, if you need to manipulate a location using a command prompt, you can use the File menu. You can also delete your history if you’re privacy conscious. 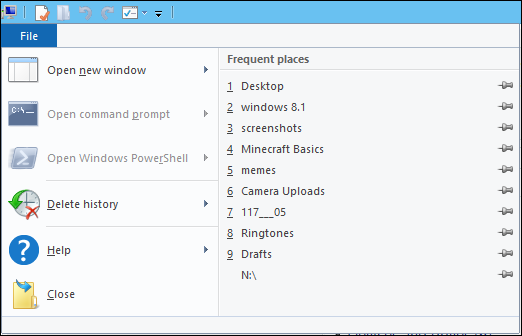 Finally note, the “Frequent places” is similar to a jump list and in fact, it uses the same history as on the taskbar. It will thus function the same so if you pin a location in one place, it will be pinned in the other. Similarly, if you clear the list, such as we described earlier in the “Jump Lists” section, it will be cleared in File Explorer as well (unless you pin a location). The Home tab will look familiar because it has the same functions (more or less) you’ve been staring at on dropdown menus since Windows 95. Of course, in Windows 8.1, there are many more functions but the spirit remains the same – this is where you can cut, copy, paste, delete, rename, etc. You can access this same kind of functionality using a right-click context menu as well. As always, the relevant keyboard shortcuts (CTRL+C to Copy, CTRL+V to Paste, etc.) still apply to all these functions so if you’re a Windows power user you probably only use the Home tab on occasion. 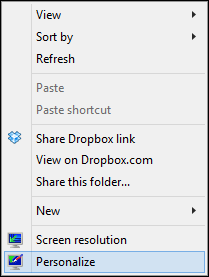 The Share tab has several useful functions, most of which can be accessed with other methods. It’s nice though to have them grouped together in one, convenient location. For example, from the Share tab, you can select files to “Send” such as in an email message, or to a zip file, DVD-R, a printer, or even fax machine. 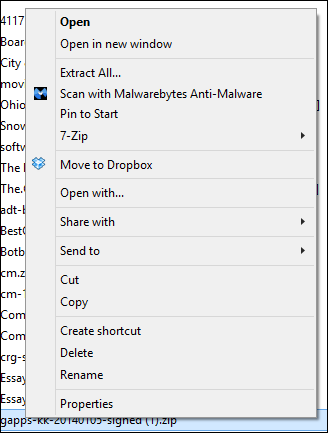 Note too that you can do all these things (and more) from the “Send to” menu on the right-click context menu. Similarly, the “Share with” functions can be utilized in a number of other ways. Most of which are detailed in our How-To Geek School series on Network Sharing. If you’re interested in learning more about network sharing, you should definitely check it out! The View tab applies to how File Explorer displays information. 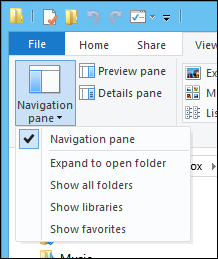 In the Panes section for example, you can select from several different panes that can further accentuate your File Explorer use. The “navigation pane” for example, isn’t enabled by default. We never operate without the navigation pane. There’s no pressing reason not to, and if you have several drives and/or partitions on your system, then it’s indispensable. Note, if you feel like you don’t have enough options, or want to easily access more locations, you can show all folder, libraries, and even favorites. Feel free to experiment and try different pane options to see what works best for you. The rest of the “View” tab is pretty straightforward. You can change the layout of items in the Explorer so if a “list” of your icons is too limiting, or you want to derive more information from a quick glance, you can select “details” to see how large files are, what kind it is, and more. The “details” layout is important because it also allows you to access further functions, note that in the “current view” section, some items may be grayed out. If you use the “details” view, those items will be available. You can then add columns or resize them to fit the information. Finally, you can easily change whether items are shown by hiding them, and in turn, show hidden items temporarily if you need to see and access them. Item check boxes are useful if you’re using touch, you can tap items you want to select using these check boxes. 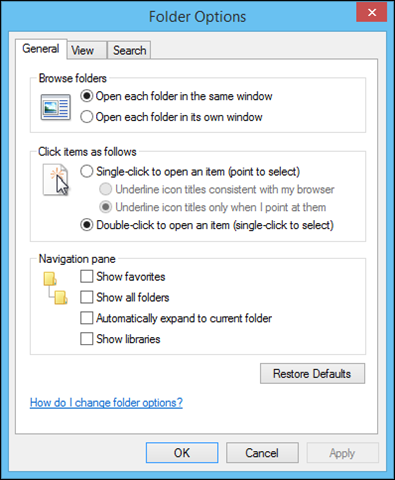 The last button is to access the “Folder Options,” which are probably familiar to a great many Windows users. We won’t go through every bit of the folder options, as you can see the first tab is pretty self-explanatory while the “View” tab is virtually identical to the one found in previous Windows versions. Meanwhile, the “Search” tab was explained in Lesson 7 so if you missed that, you can go back and read up on it! 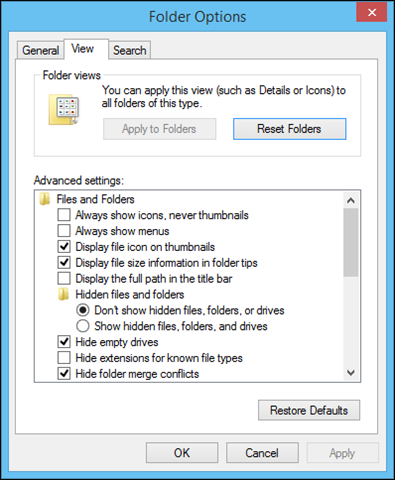 We end our discussion of the File Explorer with an explanation of the Manage tab on the Ribbon, which appears contextually based upon a folder’s content or file’s type. For example, in the following screenshot, this is how the Manage tab appears if you select a drive or partition. Likewise, you get “Picture Tools” if you select an image file or a designated photo folder. To that end, there are also special tabs for music, videos, and more. 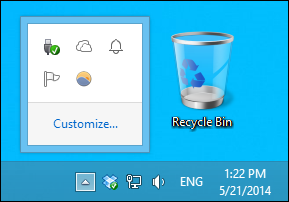 There’s even a special tab for the Recycle Bin. Obviously, there’s so much to the File Explorer and desktop environment, that it would take a book to really explain it all. Luckily, there is a book and this is the last time we’ll mention it. If you want a thorough treatment of Windows 8’s desktop and all it various parts, including many of its default applications, you should definitely pick up a copy of the How-To Geek Guide to Windows 8! And that’s it, our How-To Geek School Guide to Windows 8.1 is at an end and you’re no doubt a little more informed about Windows 8.1. We’d like to thank you all for taking time out of each day to read this series and want to urge you to click the How-To Geek School link on the navigation bar if you are interested in reading any of our other series!